Pharmacist-Led Care Transitions: Good or Bad for Home Health? Walgreens Pharmacy has instituted a pharmacist-led care transitions program called WellTransitions® and they are posting impressive results. According to a Business Wire Press Release on April 4th, 2014, participants in the WellTransitions® program were 46 percent less likely to have an unplanned 30 day readmission within 30 days of hospital discharge. WellTransitions helps reduce preventable hospital readmissions by supporting patients throughout the care continuum. Walgreens assists hospitals in identifying high-risk patients upon admission and providing services that reinforce a physician’s care plan. Walgreens clinicians work with patients post-hospital discharge to reinforce the care plan as prescribed, educate on the importance of medication adherence and encourage physician follow-up. Additional services offered include delivery of medications bedside and alignment of discharge medications. 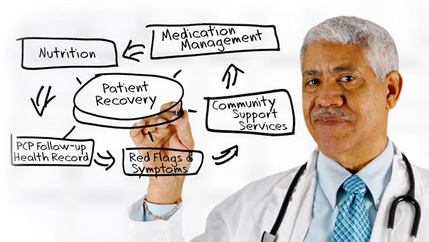 What can Home Health Agencies Learn from the Walgreens Program? There is a real market opportunity here. The Walgreens article quantifies a $25B annual cost associated with avoidable readmissions and claims that Medicare alone spends $12B in this area. Now that Medicare is fining hospitals ($288M in 2013 and growing) there is a financial incentive for hospitals to want to partner with organizations who can help reduce these costs. Home Health agencies are extremely well suited to be key players in this market. Arguably, Home Health agencies possess all of the skills needed for managing care transitions (care planning and delivery skills, med knowledge, care knowledge, mobility, and more) but they are losing the opportunity to competition that is less well suited (such as pharmacists who don’t generally have the care planning and delivery skills, and hospital care coordination programs that generally don’t have the mobility for home visits). There is a market for managing post-acute care transitions and avoiding 30 day readmissions. It’s a large and attractive enough market that Walgreens was interested in going for it. The 30-day readmission opportunity is only the proverbial tip of the iceberg; with a much larger opportunity to provide “admission avoidance” services to the 5 percent of the population who consume 45% of health care spending. 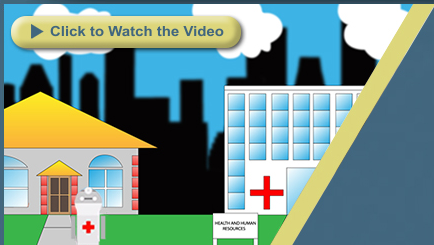 To learn more about running a care transitions business, click below to see a two-minute overview video.